Immigration can transform a regional workforce. When considering the benefits and costs to changing immigration policy, elected leaders should consider the implications for the labor force. Researchers from the Boston Planning and Development Agency (BPDA) – Phillip Granberry, Ph.D., a Senior Research Associate, and Kevin Kang, a Researcher – evaluated changes in the Boston economy and the nativity of its labor force. 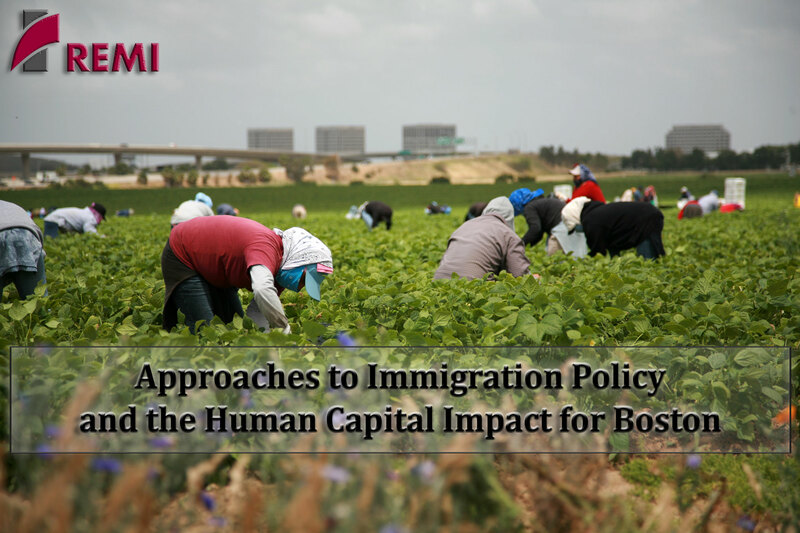 They also analyzed the educational attainment of Boston workers and considered the educational costs and benefits of changes to the labor force under different immigration scenarios. For this presentation, the two researchers will discuss the findings from their analysis. Dr. Granberry and Mr. Kang will explain their use of the REMI model for estimating the effects of immigration and education on a regional economy, and explore what this means for public policy.